Many of us have relatives and friends who are in senior care facilities. Although many people have dreams of staying in their own homes forever, often times, our elderly loved ones can’t take care of their needs while living on their own and need a bit more supervision and less responsibility for their own personal care and for taking care of their household. Your loved one’s dementia makes it easy to dismiss their reports of problems. Missing items, not feeling loved or cared for are common complaints that seniors make when first moving into a care facility. Take their complaints seriously, however. 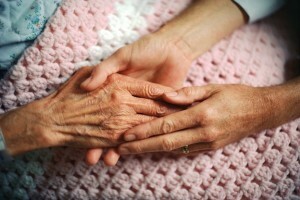 Be aware of tension between the caregiver(s) and the elderly person. Note changes in personality, particularly signs of depression and withdrawal. Be on the lookout for any signs of injury, like bruises, cuts and scars. Make sure that stories about any injuries add up. Be on the lookout for missing or broken eyeglasses or dentures. This is a tangible sign of inattentive staff. Report immediately any interactions in which a caregiver is rude or threatening. Take care to notice any significant weight loss or signs of poor nutrition or dehydration. Look around at living conditions: are they sanitary and clean? If you are concerned, bring these concerns to the immediate attention of the administration of the care facility. If your concerns are not being addressed, contact us at Turner and Turner.